Comprehensive Urdu I includes 30 lessons of essential grammar and vocabulary -- 16 hours of real-life spoken practice sessions -- plus an introduction to reading. * begin reading and sounding out items with native-like pronunciation. Urdu is an Indo-Aryan language of the Indo-Iranian branch, belonging to the Indo-European family of languages. It developed under Persian and to a lesser degree Arabic and Turkic influence on apabhramshas during the Delhi Sultanate and Mughal Empire (1526–1858 AD) in South Asia. Urdu is a standardised register of Hindustani, termed the standard dialect Khariboli. The grammatical description in this article concerns this standard Urdu. In general, the term "Urdu" can encompass dialects of Hindustani other than the standardised versions. Standard Urdu has approximately the twentieth largest population of native speakers, among all languages. It is the national language of Pakistan as well as one of the 23 official languages of India. Urdu is often contrasted with Hindi, another standardised form of Hindustani. The main differences between the two are that Standard Urdu is conventionally written in Nastaliq calligraphy style of the Perso-Arabic script and draws vocabulary more heavily from Persian and Arabic than Hindi, while Standard Hindi is conventionally written in Devanāgarī and draws vocabulary from Sanskrit comparatively more heavily. Some linguists nonetheless consider Urdu and Hindi to be two standardized forms of the same language; however, others classify them separately due to sociolinguistic differences. There are between 60 and 80 million native speakers of standard Urdu (Khari Boli). According to the SIL Ethnologue (1999 data), Hindi/Urdu is the fifth most spoken language in the world. According to George Weber’s article Top Languages: The World’s 10 Most Influential Languages in Language Today, Hindi/Urdu is the fourth most spoken language in the world, with 4.7 pecent of the world's population, after Mandarin, English, and Spanish. Because of Urdu's similarity to Hindi, speakers of the two languages can usually understand one another, if both sides refrain from using specialized vocabulary. Indeed, linguists sometimes count them as being part of the same language diasystem. However, Urdu and Hindi are socio-politically different, and people who self-describe as being speakers of Hindi would question their being counted as native speakers of Urdu, and vice-versa. In Pakistan, Urdu is spoken and understood by a majority of urban dwellers in such cities as Karachi, Lahore, Rawalpindi/Islamabad, Abbottabad, Faisalabad, Hyderabad, Multan, Peshawar, Gujranwala, Sialkot, Sukkur and Sargodha. Urdu is used as the official language in all provinces of Pakistan. It is also taught as a compulsory language up to high school in both the English and Urdu medium school systems. This has produced millions of Urdu speakers whose mother tongue is one of the regional languages of Pakistan such as Punjabi, Hindku, Sindhi, Pashtu, Kashmiri, Gujarati, Balochi, Siraiki, and Brahui. Urdu is the lingua franca of Pakistan and is absorbing many words from regional languages of Pakistan. The regional languages are also being influenced by Urdu vocabulary. There are millions of Pakistanis whose mother tongue is not Urdu but since they have studied in Urdu medium schools they can read and write Urdu but can only speak their mother tongue. Most of the nearly five million Afghan refugees of different ethnic origins (such as Pathan, Tajik, Uzbek, Hazarvi, and Turkmen) who stayed in Pakistan for over twenty-five years have also become fluent in Urdu. A very large number of newspapers are published in Urdu in Pakistan, including the Daily Jang, Nawa-i-Waqt, Millat, among many others. In India, Urdu is spoken in places where there are large Muslim minorities or cities which were bases for Muslim Empires in the past. These include parts of Uttar Pradesh (namely Lucknow), Delhi, Bhopal, Hyderabad, Bangalore, Kolkata, Mysore, Patna, Ajmer, and Ahmedabad.Some Indian schools teach Urdu as a first language and have their own syllabus and exams. Indian madrasahs also teach Arabic as well as Urdu. India has more than 29 daily Urdu newspapers. Newspapers such as Sahara Urdu Daily Salar, Hindustan Express, Daily Pasban, Siasat Daily, Munsif Daily and Inqilab are published and distributed in Bangalore, Mysore, Hyderabad, and Mumbai . 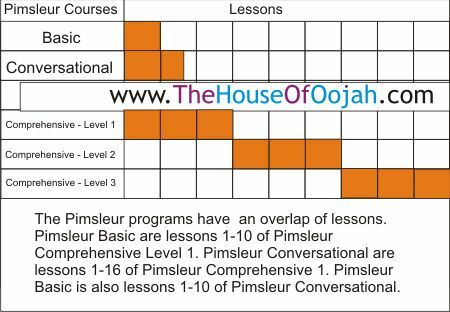 Note: These Language program courses are special order and take 2 - 3 weeks for delivery.